Built in 1912-1914 the 40 members of this class were designed to haul the increasingly heavy coal trains in South Limburg. 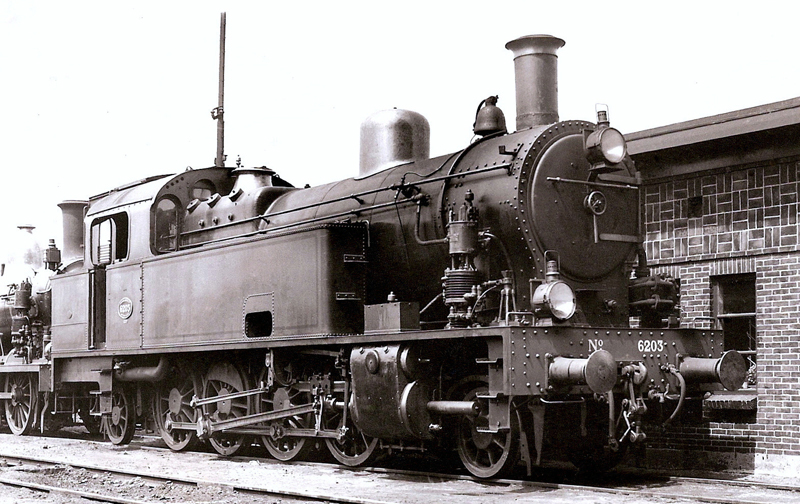 The 6200 series was ordered by the then "Company of exploitation of State Railways" at Hohenzollern Germany. Dutch railways in general tended to design along very English looks in terms of aesthetics. Hohenzollern on its turn churned out a design which was very German in its mechanical conception: form follows function. 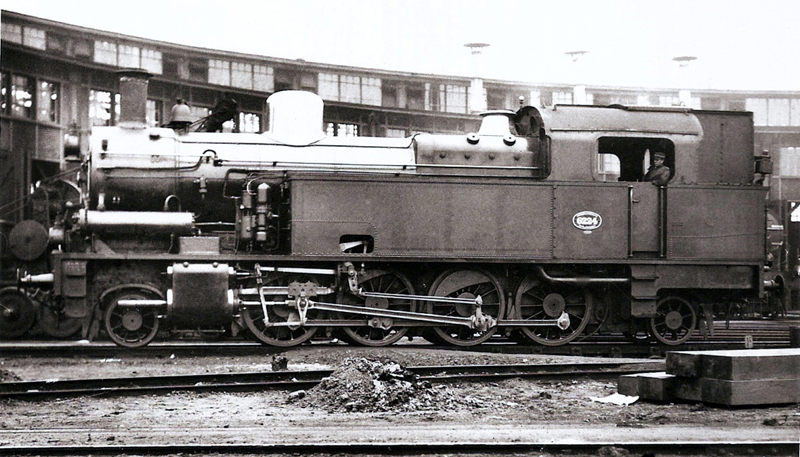 The Staatsspoorwegen (unfortunately abbreviated SS, which was to gain a sinister connotation in decades later) however influenced the design for the sake of standardisation to the maximum extend with common parts already available from other classes. So the design eventually reflected the English aesthetics and German mechanics. 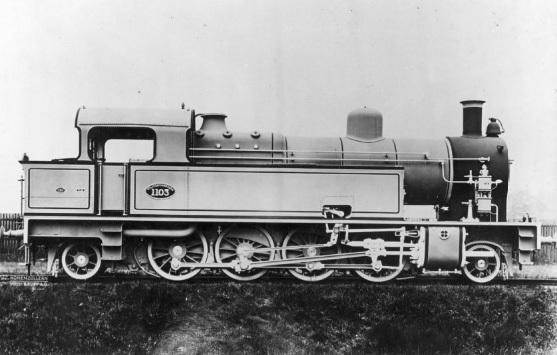 This resulted in a class which looked like a cartoon collision between an English loco and a German loco resulting, after the clouds lift, in a loco which unites both. It is a matter of taste wether you find that beautiful or not. The 6200 class did not come to life for beauty though, it was to pull the coal trains in Limburg. Dutch companies generally shied away from outside cylinder designs as some of these had proved to be notoriously bad runners. This design seems to have run satisfactorily for the work it was designed for. Their tractive force made the 6200's good hump shunter locomotives as well and they consequently found work on the larger yards after the arrival of the for Dutch terms giant 6300 class. The 6200's were nick named "he-goats" because they tended to buck at start up. Nine members of the class fell victim to WWII, the remaining 31 were withdrawn between 1952 and 1957. None were preserved. A bought a simple etch set in 2010 containing all the sheet metal parts. Cast parts were bought separately as wel as the donor locomotive, a Roco BR93. 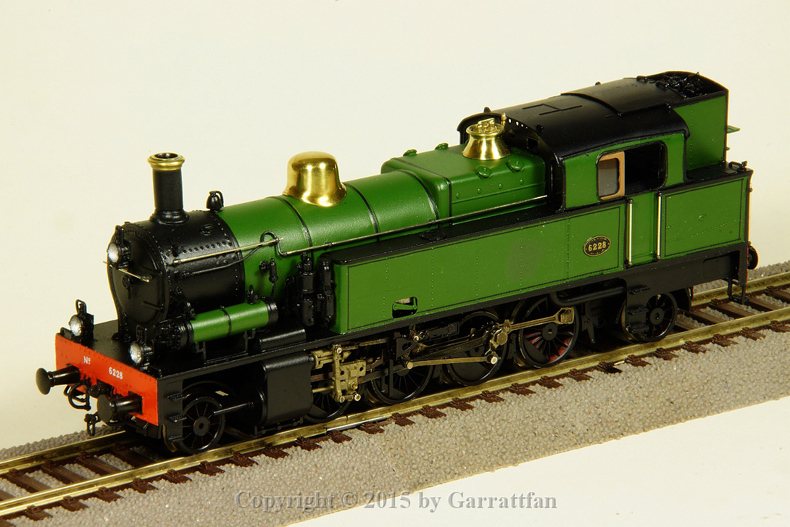 A protracted project produced a reasonably good model, if I may say so myself. Total cost around €250.